It’s been two months since the Royal Wedding, and nearly nine months since Prince Harry and his now Duchess got engaged. And yet we’re still obsessing over Meghan’s trilogy ring. The three stones, the thin, weightless gold band, everything about it was and is perfection. Well, what if we told you we found something even better?” Many things, actually, in pairs no less, from Sarah O. Jewelry in Denver, CO. The brand’s namesake, Sarah Ortega and her team sponsored this post to bring us all the details on their curated collection of perfect pairs for perfect pairs. 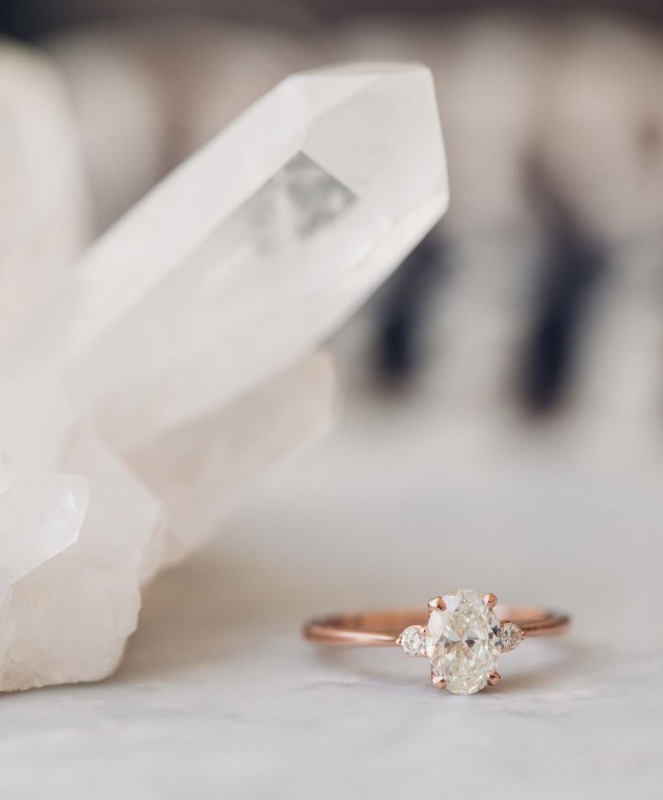 Apologies to anyone out there who just engaged, too… this post might make you a little salty. Because these rings are just absolutely gorgeous. 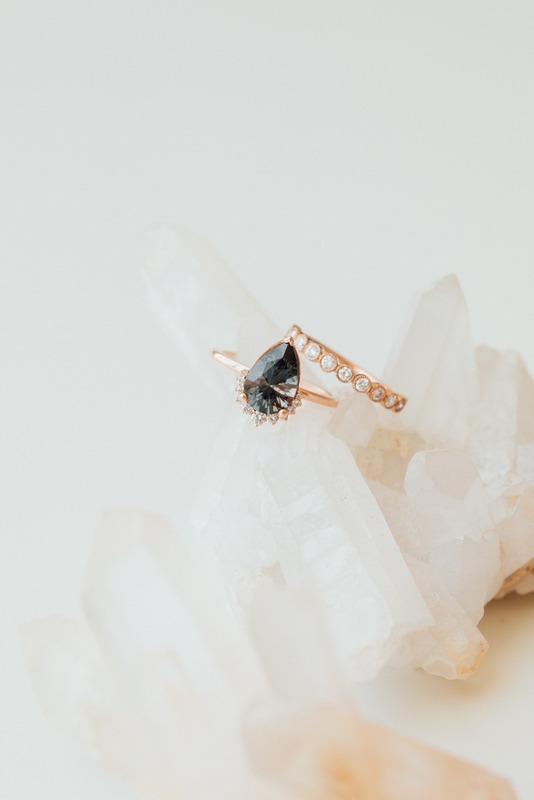 Like, ‘oh wow, my ring is amazing (because my partner is amazing), but I wouldn’t say ‘no’ to one of these if they happened to fall in my lap’ kind of salty. It’s okay. We’re right there with you. 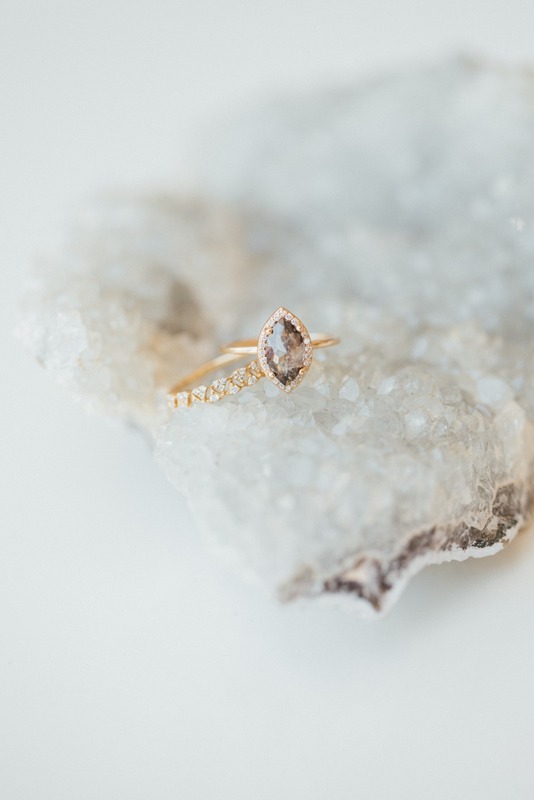 Just remember, a vow renewal is a great opportunity to slip a new kind of pretty on THAT finger. 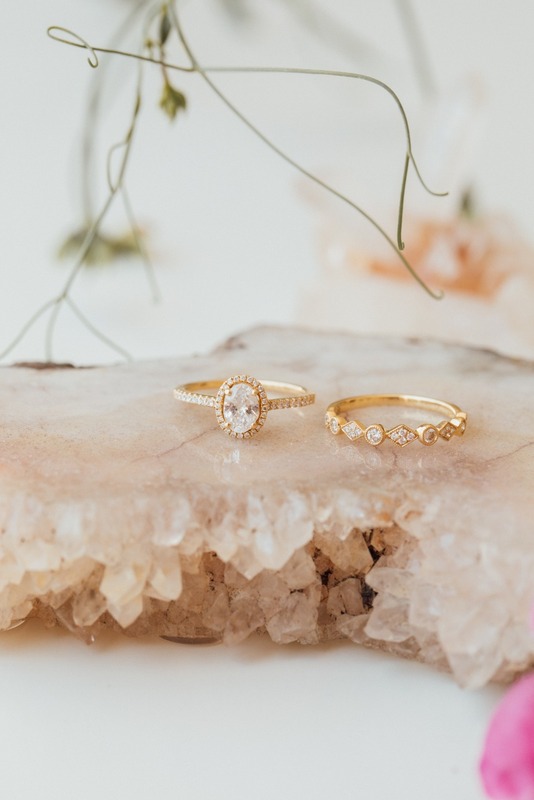 I’ve got to be honest, working in this industry for so long, I’ve seen some wonders worked with meh-quality rings photographed in the most stunning fine art ways. But when we got these photos from Sarah O., there were no mistakes to be made, these rings stand on their own in their uniqueness. Each bespoke design is beautiful and the most incredible representation of the brand’s point of view: casual meets couture. 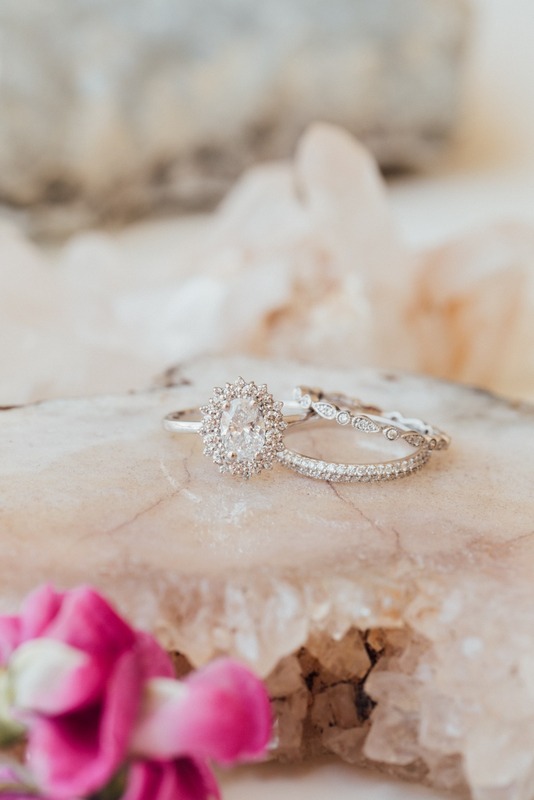 Whether you decide to go classic or alternative, trendy or timeless with your ring(s), you’ll find whatever you’re looking for at Sarah O. 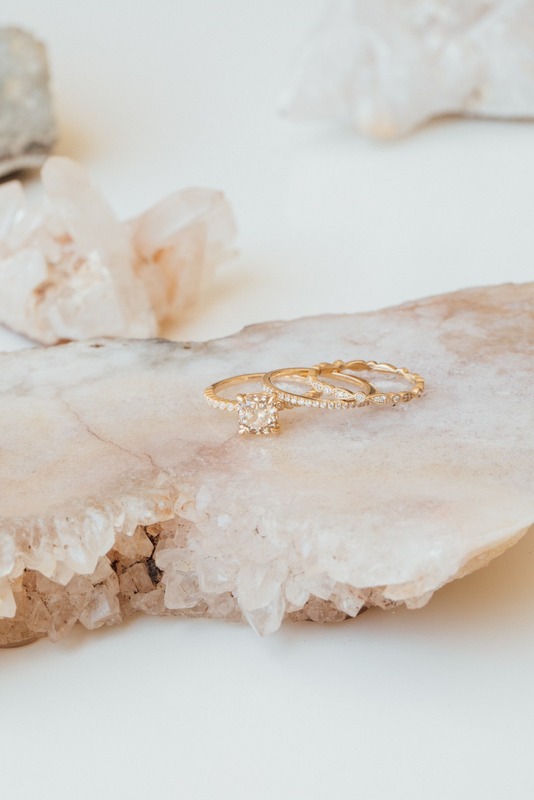 And engagement rings are only the beginning, because Sarah O. has a thing for stacks. Maybe not a thing, that’s putting it too lightly, she has a prowess for putting together your ring party. You found your perfect human, your perfect match, so now you have to do the same for your ring. 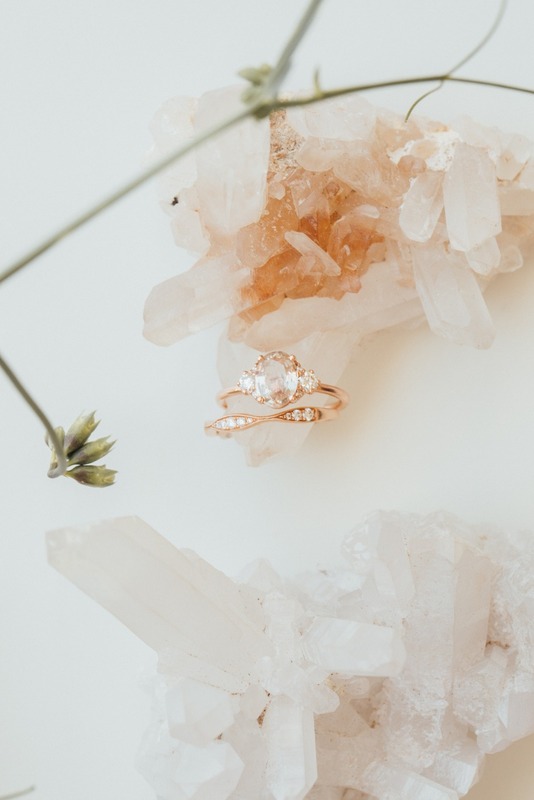 A next-level engagement ring is nothing without its charming and creative counterpart ((that’s your band, in case we lost you)). Halo, gorgeous! Sometimes, you’ve gotta keep it simple. A sparkly stunner in classic yellow gold paired with a bezel satellite diamond band. This profile is gorg and perfect to build onto for many an anniversary to come. Future heirloom alert! We are so obsessed with this bright bundle. Sarah O.’s signature Starburst gets an upgrade with a classic double row pavé band and fun texture from the milgrain in the brand’s vintage-inspired, scalloped, alternating pear infinity band. This mix of vintage, modern, and feminine detail will transcend the tastes of time. Before you ask what kind of sorcery was used to perfectly space these bands, we should probably divulge that these bands are one ring. Joined together in the back, the ring gives the illusion of perfectly-spaced stackers. Coupled with a rough white diamond, in a trendy pear shape, your stack will be picture-perfect-ready 24/7. Pop the bubbles! This champagne cushion cut diamond pairing combines Sarah O.’s signature single row pavé band with a vintage-inspired, textured milgrain band and pavé diamonds in alternating pear and round shapes. A classic look, with just enough detail, this stack has a timeless look that’ll knock the socks off any blushing babe! 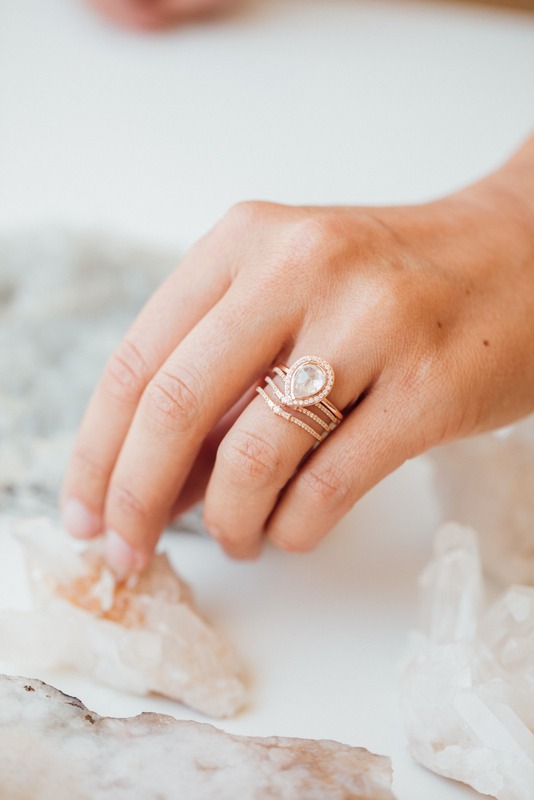 Part of Sarah O.’s Alpenglow Collection, the store-favorite Grey Spinel is set with a tapered half halo for flare, and romantic rose gold. Bezel set stones in this band add a scalloped texture with a dreamy, modern twist. 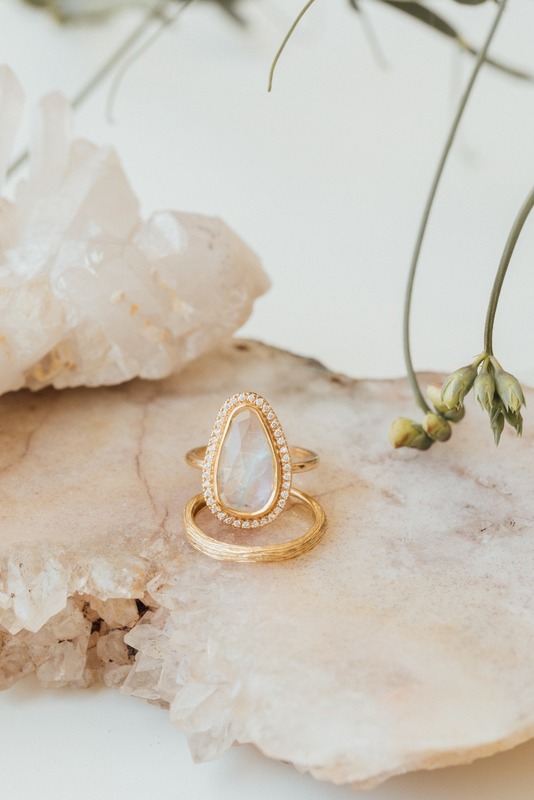 To magnetize more eclectic tastes, Sarah O. matched a Rainbow Moonstone beauty (with the Signature Halo for extra sparkle) with a tree-branch textured band. This coupling is riddled with celestial magic and organic chemistry… Just like the brides and grooms that love it! Push it. Push it real good. While the song might be a little dated, this salt and pepper marquise is timeless with its diamond halo. Paired with this triangle cluster band for extra oomph, this eclectic set will pump you up, queen! We partnered with Sarah O. Jewelry to bring these perfect pairs to some of our perfect pairs. As always, thank you for supporting our sponsors!